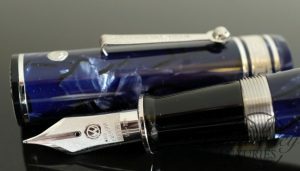 BACK TO THE FUTURE should be the caption for this wonderful pen. The WAHL-EVERSHARP Oversized DECOBAND pneumatic filling Gatsby “Pensbury” pens with SUPERFLEX nibs and 2.0ml ink capacity sets a new standard for beauty and elegance by recapturing the classic design first introduced in 1928…only bigger and better! 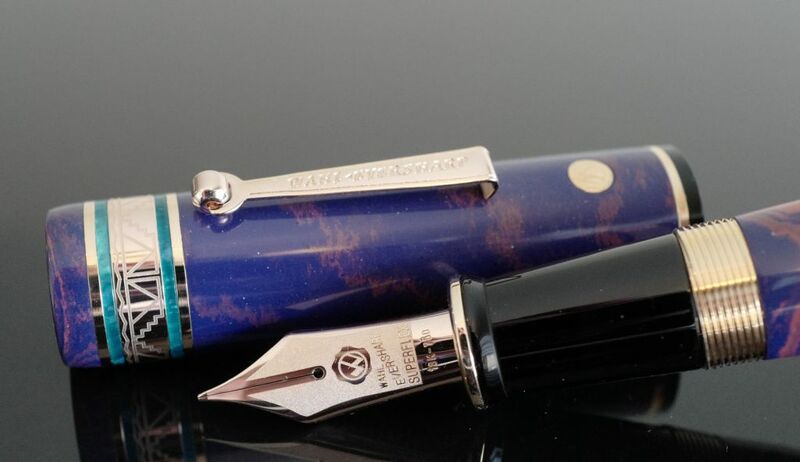 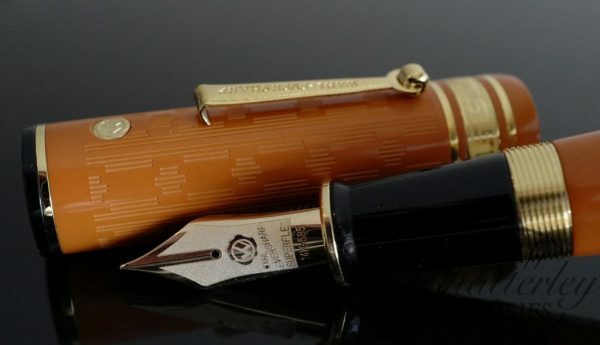 The Gatsby pen is constructed using the finest materials available. 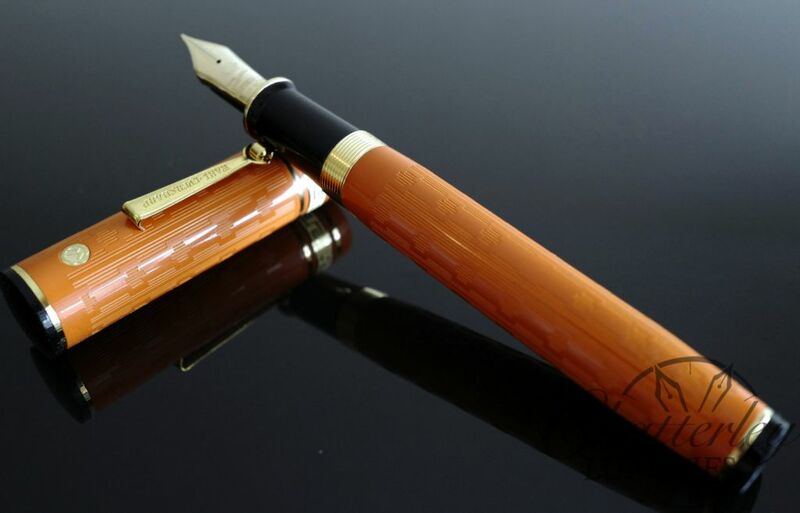 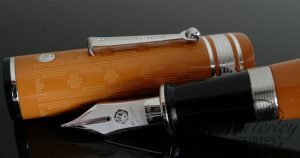 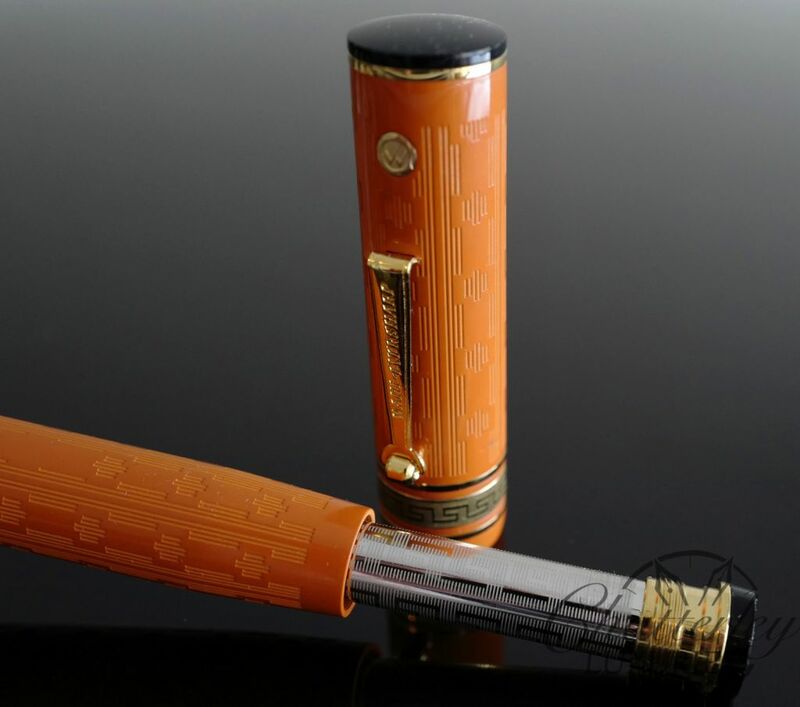 The pen body and cap material is beautiful Orange Ebonite with finely etched Gatsby Pattern, all exterior metal is heavily gold plated and the internal mechanism is solid brass.